Heavenly resources have only one purpose - that Jesus Christ would receive His full reward and inheritance in our age. Just as God held nothing back from Solomon, who longed to build a tabernacle for God on earth, God will hold nothing back from a generation of people who long to bring Jesus everything that belongs to Him! 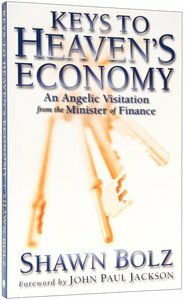 About "Key's to Heaven's Economy"